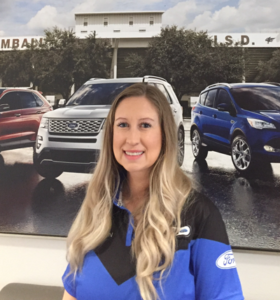 Welcome to Tomball Ford’s Service Department! Here in the Tomball Ford service department, our goal is to make sure that all of our customers feel that they can trust us with their vehicle. One of the most important things to our Service Manager, Misti Simonton, is that our customers feel and are treated like our friends. “I want them to be able to call me with anything, whether it’s a problem or they just want some advice,” says Misti. Misti grew up working with cars starting with her brothers when she was 6 or 7. 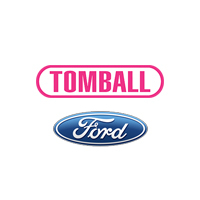 Some of our technicians have been working here at Tomball Ford since before then! With this many years of experience at your disposal, you can rest assured that you are entrusting your car to responsible, factory trained technicians that will genuinely prove you are getting the best experience possible. We care deeply about the people we are serving rather than just the car alone which sets us apart from other independent mechanics in the greater Tomball Area. From the moment you bring your car to the service drive here at Tomball Ford, you’ll be treated like family. One of our service advisors will greet you and do a walk-through, making sure to find out your concerns and anything we need to help diagnose the problem. After we find out exactly what you’re looking for, we’ll take you inside to get you all set up. This includes setting up any transportation needs you may be needing. If you’d like to wait in the dealership, we have several waiting areas including one with television access and magazines, as well as complimentary WI-FI throughout the dealership. We will usually provide phone alerts to tell you when your car is ready, but we will gladly supply text or email updates upon request. Within our experienced staff, we have one technician who is Master Certified while our other techs specialize in being certified in other areas. In our main building in Tomball, Texas, we service Ford and Lincoln vehicles. Our Quicklane building provides service to any and all makes and models you need help with. We also provide service for various fleet programs in the greater Houston, The Woodlands, Spring, Cypress, and Sugar Land, Texas areas.